Jeanie Macpherson Barclay SMITH (also Barclay-Smith); born in Scotland 22 February 1874, the daughter of John Smith, a pharmacist, and his wife Margaret. Trained as a nurse at Edinburgh Royal Infirmary between 1901 and 1904 and joined Queen Alexandra’s Imperial Military Nursing Service as a Staff Nurse in September 1907. She resigned from the service in July 1911, but returned on the outbreak of the Great War to serve once more. She was awarded the Royal Red Cross, First Class, on 23 June 1915. Jeanie Barclay Smith died of endocarditis on 28 April 1916, and is buried at Etaples Military Cemetery. Her CWGC information is here. Earlier this month I was contacted by Lynda Craib (née Smith) who wrote: "My grandfather George was Jeanie Macpherson Barclay Smith's only brother. She had 7 sisters. Both her father and brother were chemists at 92 High Street Aberlour Banffshire. She was the only one of her sisters to pursue a career. My sister has a bronze plaque she was awarded for her work in WW1. 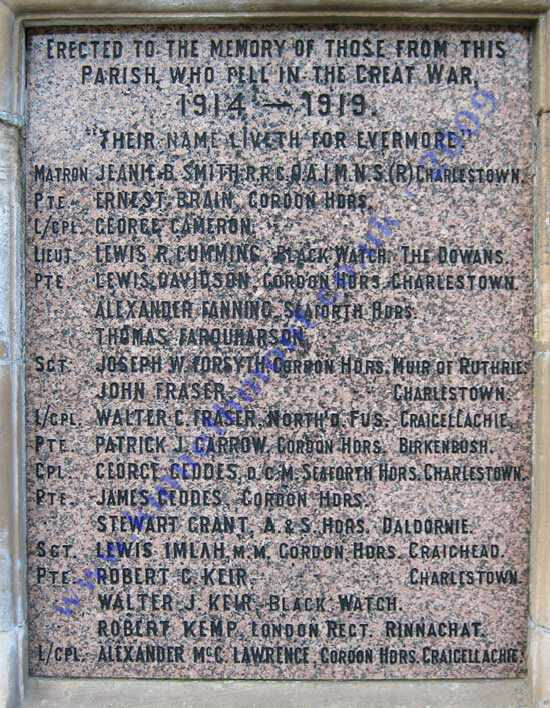 She also has her name on the war memorial in Aberlour and in a memorial in York Minster. My sister and I are both retired nurses." 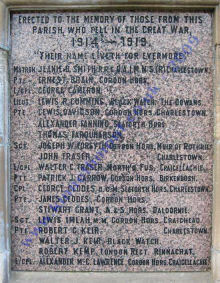 Subsequently, I spotted a picture of the war memorial on this page: http://warmemscot.s4.bizhat.com/warmemscot-ftopic2264.html. It shows the panel with Jeanie’s name on it about half way down the page. See the names index for dates on which she is mentioned in Edie's diaries. The information at the top of this page was kindly provided by Sue Light. If you are a descendant or have more information about this colleague of Edie's we would like to hear from you. Please use the Visitor's Book.